Prof. Gottwald studied Theology, Indology, Social Science, and Philosophy with a Ph.D. in 1982. He is Honorary Professor for agrarian and environmental ethics at Humboldt University, Berlin. He is CEO of the Schweisfurth Foundation, Munich, where he has been committed since 1988. He also is member of the Executive Board of the Foundation for Research in Mycological Taxonomy and Ecology, and Director of the Renate Benthlin Stiftung für Nutztierschutz. He has been a member of the board of publishers of the “Zeitschrift für Umweltpolitik und Umweltrecht” for many years. He holds memberships in several scientific and business ethics organizations. His fields of interest are Business Ethics, Consciousness Research, Future Studies. Author of numerous books and articles on the future of agriculture, education, agricultural and food ethics. 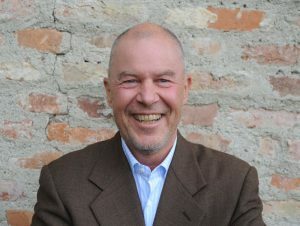 Prof. Dr Franz-Theo Gottwald has been a member of the SB since 2010.